This course has been updated to the new 'Inspiring Investigations through Citizen Science' course. If you are already enrolled in this course, you can continue to access it from the 'My Courses' page. We know it can be tricky to inspire your students to engage in authentic science inquiry, especially given all the other educational standards you’re integrating alongside science practice skills. Here at the Cornell Lab, we have pioneered the use of inquiry and citizen science in the classroom as a powerful way to harness the natural curiosity of students and transform it into experiences they will never forget. We’ve designed this self-paced course to help educators explore the process of inquiry and scientific investigation, especially as inspired by outdoor observations and citizen-science participation. Our popular Investigating Evidence curriculum is the “textbook” for the course. You can purchase the course with printed curricula/handouts or opt for the electronic version that you can download for free. You can also elect to earn two optional Continuing Education Units (CEUs) if you successfully complete the course. All online materials will be available to you for six months following your enrollment. Just because the course is completed on your own time doesn’t mean it isn’t interactive. Throughout the course, you’ll hear from teachers who have successfully used citizen science with students. You’ll also participate in discussion boards and learn from other educators and Cornell Lab facilitators who came before you in the course. We’ll encourage you to get outside and explore, think about applications for and implementation in your own program or classroom. Finally, quizzes and assignments will help you test your knowledge and understanding. 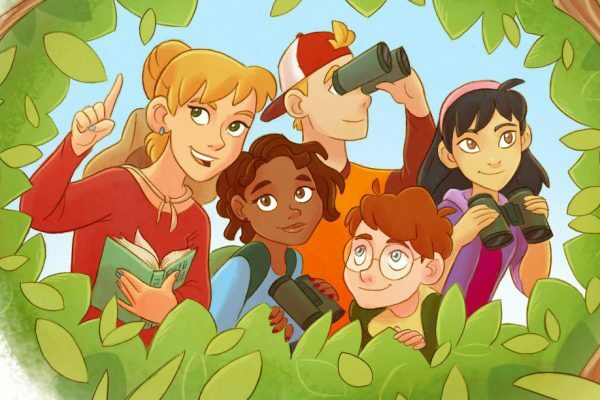 Practice defining “citizen science” and “inquiry”, explore how they are related , and dive in to case studies about using citizen science and inquiry in classrooms and other educational settings. Get tips on how to foster observations, immerse yourself in the difference between open-ended and closed-ended questions, and practice differentiating between questions that can be answered through reference materials, data exploration, observational study, and experimentation. Get practice helping students plan a scientific investigation: from defining the difference between a hypothesis and a prediction, writing a testable hypothesis, identifying independent and dependent variables, and defining variables within an experimental study. Transform your students’ graphing skills. Help them correctly identify and describe commonly used graph types and how they represent data. Review common pitfalls students encounter when graphing data. Practice identifying challenges and potential solutions for teaching inquiry in the classroom. Use a rubric to evaluate a scientific report and describe four effective ways to share student investigations. Develop your own implementation plan for your educational setting that incorporates inquiry and citizen science. We’ve designed this self-paced course to help educators explore the process of inquiry and scientific investigation, especially as inspired by outdoor observations and citizen-science participation. Our popular Investigating Evidence curriculum is the “textbook” for the course. You can purchase printed curricula/handouts separately or opt for the electronic version that you can download and/or print yourself. Feel free to explore Investigating Evidence at www.birdsleuth.org/investigation. You can also elect to earn two optional Continuing Education Units (CEUs) if you successfully complete the course. All online materials will be available to you for six months following your enrollment. Buy Integrating Inquiry for Educators: Developing Student Science Practices Now!